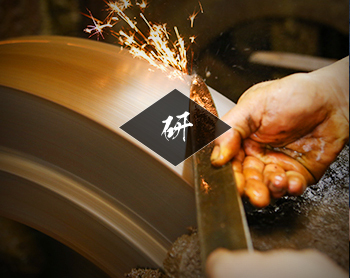 Sakai knives manufacturing process is divided into 3 stages; forging, grinding, and attaching the handle. 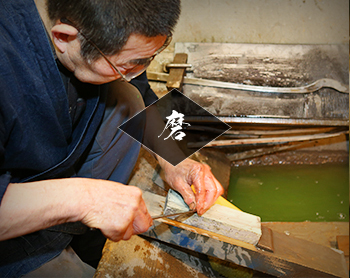 It's a division of work in which each craftsman creates using special skills. 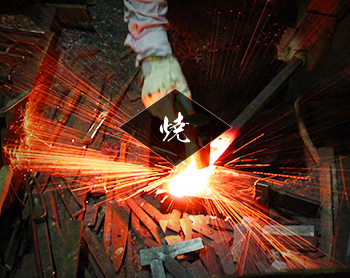 In the forging process, the hardness as well as the stickiness of steel are improved in order to make the knife sharp and difficult to chip. 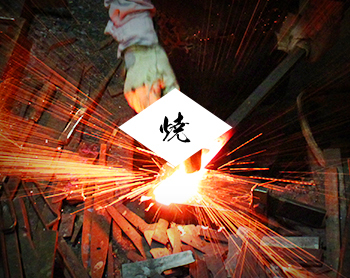 There are technical processes such as Hagane-zuke (forging 2 kinds of steel - soft steel and steel), Yaki-Namashi (slowly annealing hot knife-shaped steel), Yaki-ire (immediately chilling steel in the water right after heating it to 780 - 800 degrees), and Yaki-Modoshi (heating steel to 160 - 180 degrees again in the furnace). 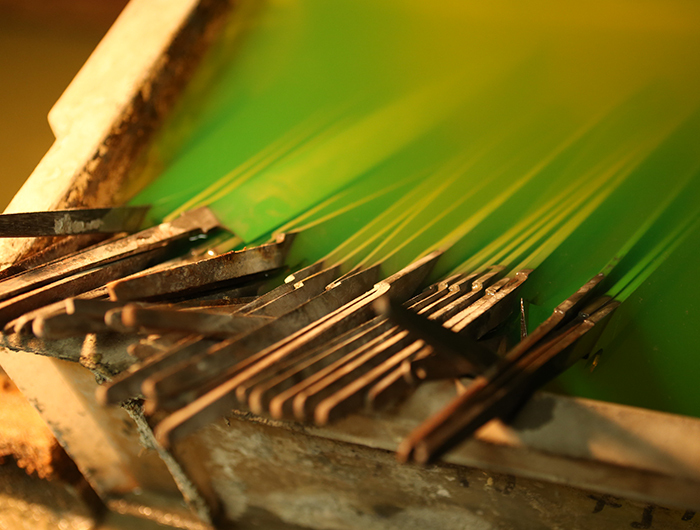 In this way, the process of making each product requires very difficult and professional techniques which only experienced craftsmen can perform. 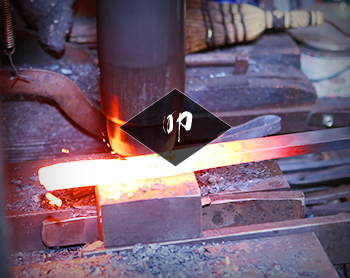 THE GROUND METAL (SOFT STEEL) IS TEMPERED AFTER HEATING, AND ADHERED TO STEEL. 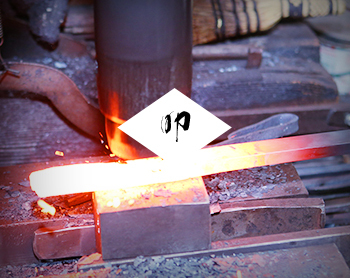 The flattened steel is hammered to make the thickness even and chilled. 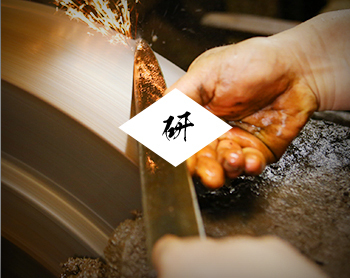 STEEL IS CUT OFF INTO THE KNIFE SHAPE, AND THE SURFACE IS POLISHED AND STAMPED. The tip is heated to 780 - 800 degrees, and immediately soaked in water or fuel oil to chill. The knife is heated again to 160 - 180 degrees to prevent nicked edges and chilled in fuel oil. The distortion created by quenching is fixed. The side of the blade is ground to make it sharp. The steel is made clear. 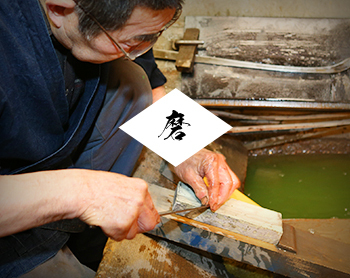 The blade is sharpened again and the tip is edged. After drying the blade and spreading oil on it to prevent rust, the handle is finally attached. COPYRIGHT Â©Sakai City Industrial Promotion Center ALL RIGHTS RESERVED.